The last couple days have also been sunny which is lovely for my first official week of my summer holidays. I finished work experience and now have a lot of free time. I have a lot planned this summer, I'm in Killarney this weekend with my mum and sister for a little break, at the end of June I am going to Spain for a week with my friends and then in August I am going to England for Summer in the City and to time with friends and family in Sheffield, London and Norfolk. Even though I am doing all this I will still have weeks of no plans and free time. I want to blog a lot this summer and do more with less days moping around the house. Oooh look I am talking about summer again. Down to the outfit. I adore this outfit! 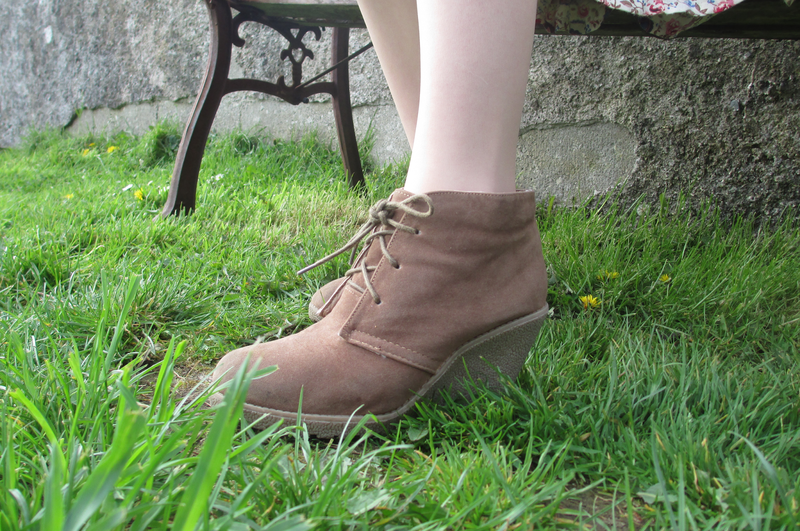 It's so summery yet sophisticated with the wedges.